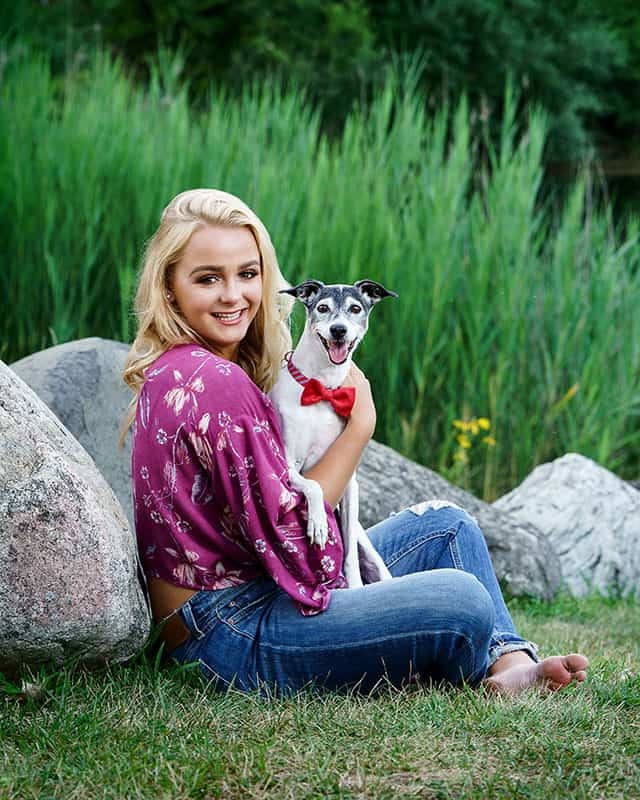 Today we’re featuring our senior photo shoot with Lanie who’s a senior at Cary-Grove High School. 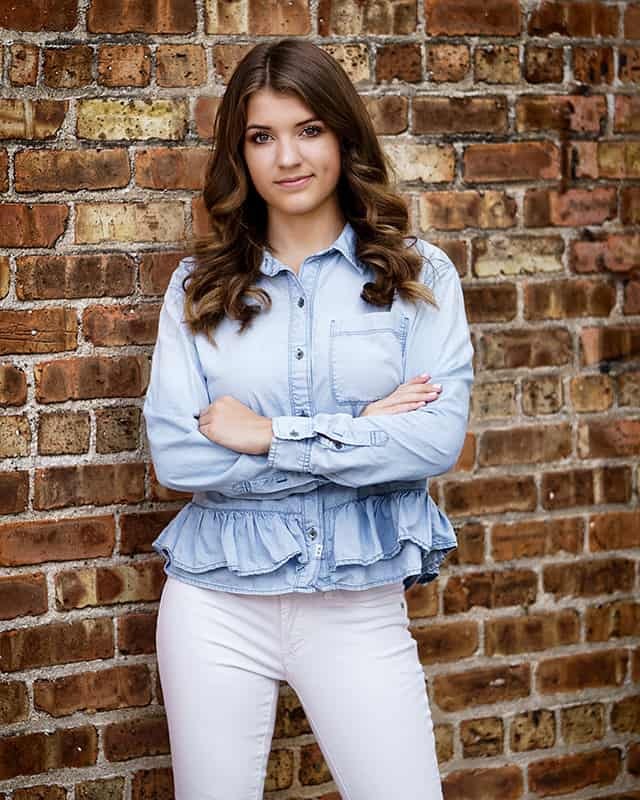 Lanie also won the Miss Cary-Grove Business Scholarship Pageant in 2018 and was one of our nFocus Model Reps for the Class of 2019! Lanie’s one of the nicest people you’ll ever meet! 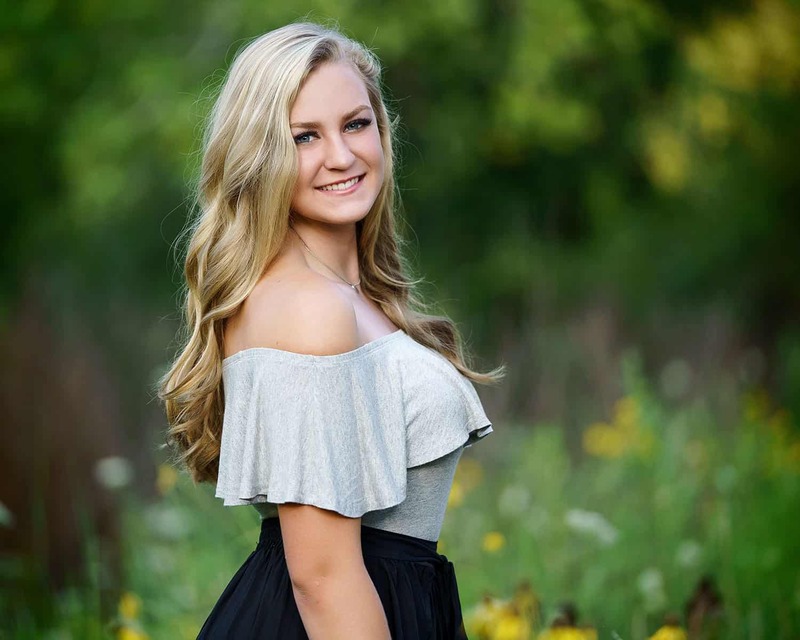 She loves to dance and is a member of both the Cary-Grove swing choir and dance team. She also has a hugely supportive family that all came to her session and made it like one big giant party! So much fun! We got a ton of great photos from our two shoots together, in the studio and outside. Check them out and then read what Lanie had to say about her nFocus experience! nfocus: Thank you so much for being an nFocus Model Rep! How did you first hear about our Rep program? Lanie: I first heard about the Rep program from Faith Poppe. She texted me and told me about this amazing opportunity to get beautiful senior pictures and be a featured model for Nick. n: What was your favorite part of your photo shoots? L: My favorite part of the photo shoots was hearing Nick’s positive encouragement throughout the whole thing. Things like “wow that was a great shot” or “that soft smile was awesome” really made me comfortable and confident. n: Is there anything you wish you’d done differently either to prepare or during your shoots? L: One thing I wish I did differently was letting myself go a little sooner. Don’t get me wrong, Nick made things super easy and comfortable, but I wish I got over my nerves earlier. n: Did you feel like you were adequately coached through the shoots? L: I 100% felt well coached during our sessions. It was always kind and constructive suggestions. n: Your whole family came to your outdoor shoot this summer. Did you feel like it was a good bonding experience for all of you? L: I absolutely loved having my whole family come to my photo shoot. It was so nice to have everyone there, having such a great time together. Now that my brother and sister are both out of college and have their own lives, it was really important to me to have picture taken with them now. n: Did the final photos turn out the way you had hoped? L: The photos turned out better than I could have ever imagined! I loved every single one of them! n: What are you looking forward to about being a senior? L: What I’m looking forward to the most about senior year is the whole “last time” experience. I really want to take everything in and enjoy every second of my senior year! n: I know you love to dance! Who’s a dancer you really admire? L: Mia Michaels is a dancer that I look up to the most. She is such an outstanding person and a true inspiration in my life. n: What’s your favorite place to shop? L: TJMAX! TJmax is by far my most favorite store in the entire world! n: If you could take a friend anyplace in the world, where would you go? L: Iceland would be the place I would take a friend. It is so unique and beautiful and has such an amazing, rich culture. n: Do you know where you want to go to college yet? L: Currently, I am applying to the University of Dayton, University of Kentucky, University of Louisville, and Western Michigan. I want to major in business marketing in hopes of becoming an event planner in the future. n: What’s something most people don’t know about you? L: Something not many people know about me is that my given name is Helen Claire Johnson, not Lanie Johnson or Helen Lanie Johnson. There are 4 Helen’s in my family and not to get us confused, my parents gave me the nickname Lanie. If you’re interested in being a Class of 2020 Model Rep, follow this link to fill out an application! 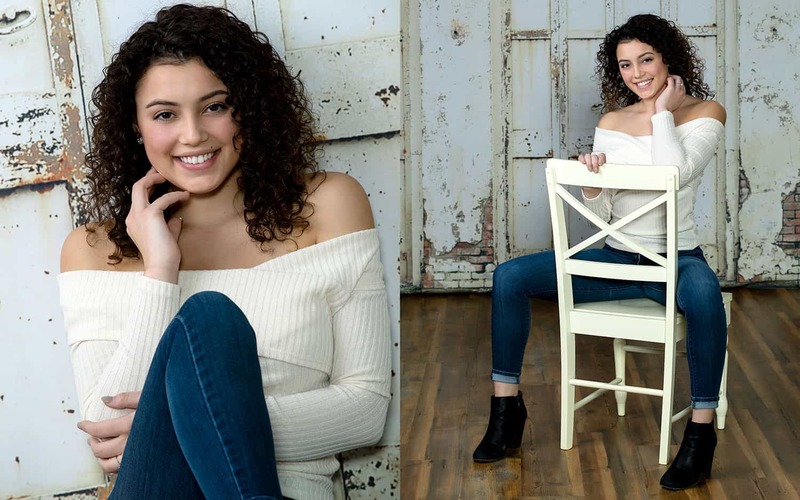 Class of 2020 – nFocus is looking for Model Reps!! Juniors! The search is on for our Class of 2020 Model Rep team! nFocus is looking for Juniors to represent their class as nFocus Model Reps! 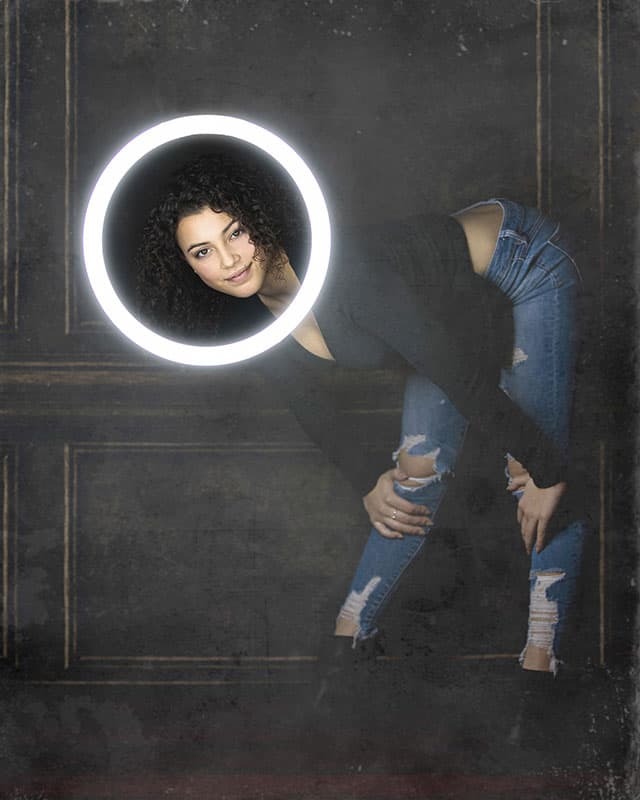 We are looking for energetic fans of our work who want to have us take their senior photos and who are willing to be ambassadors of our studio. Are you in? Click Here to Apply!! 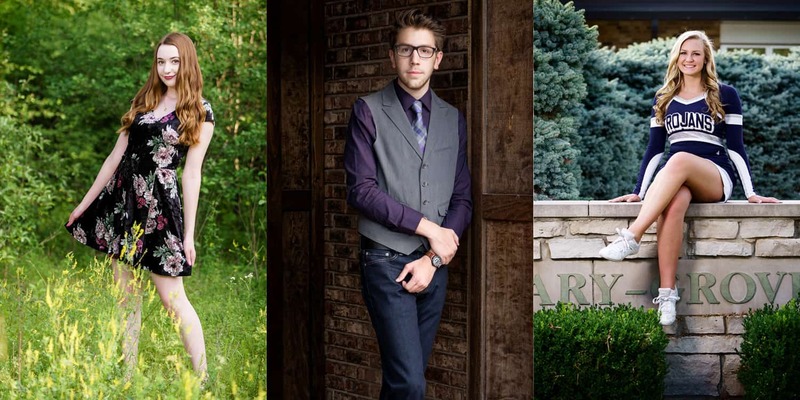 First, nfocus Model Reps will get a free outdoor senior photo shoot next summer. It’s our most popular four outfit/two location Breakaway session that normally goes for $150 – but our reps pay zero session fees! In addition we’ll be hosting a bunch of themed bonus shoots in our studio this spring just for our Reps. Things like prom dress shoots, BFF shoots, concert t-shirt day, bring your pet day and a whole bunch more, as well as any other ideas you might want to suggest! During these sessions we’ll be trying out new ideas and backgrounds as well as creating photos for our advertising and other promotional materials for the Class of 2020. 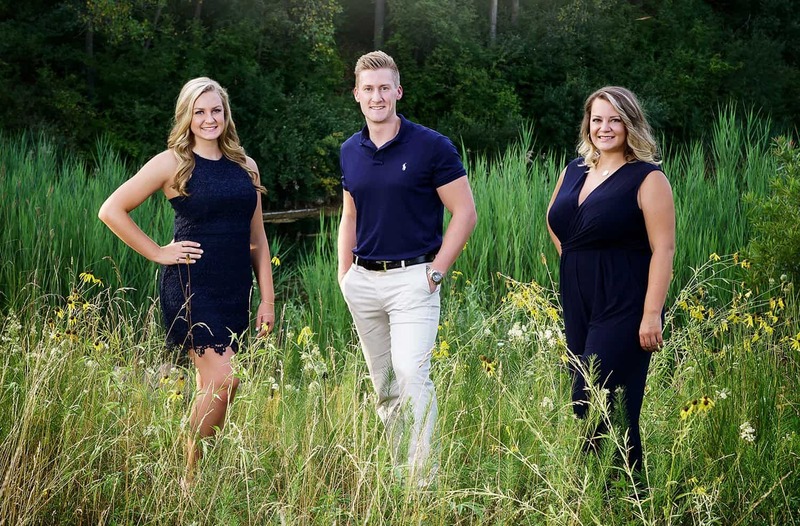 You’re going to be the first ones from your senior class getting photographed and your photos will be all over Facebook, Instagram and the nFocus website! 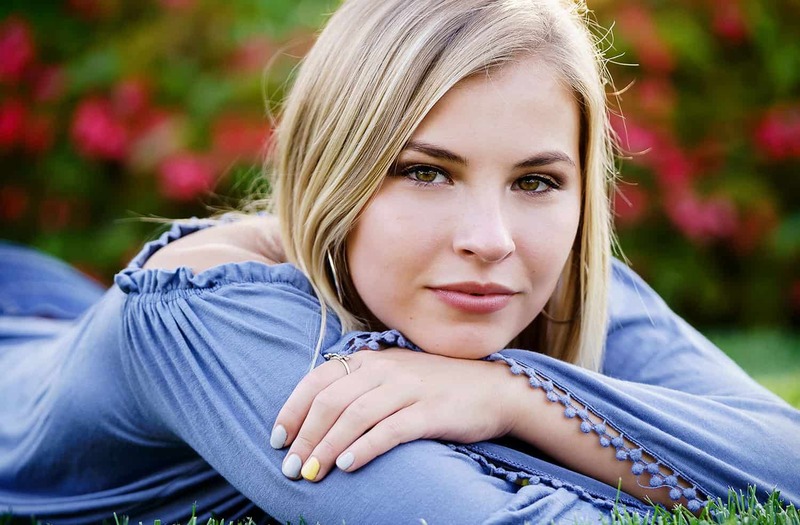 In addition to the free photo sessions, every time you refer a friend to nFocus you’ll earn referral credits good for discounts on your senior photo order, as well as additional products you’ll love and entries in our year end prize drawing!! 1. You must currently be a high school Junior who wants to have your Senior Photos taken by nFocus Photos. 2. You must be able to attend a consultation meeting with one of your parents at our studio in Crystal Lake. 3. Most importantly, you must be excited to promote nFocus to your friends and encourage them to have their senior photos taken with us! To apply, go to nfocusphotos.com/rep20 and submit your application. Make sure your parents know you’re applying because once I get your application I’ll be back in touch with you and your parents to set up the consultation meeting. I’m only going to be taking applications for a short time, so apply soon! If you have any questions you can email Nick Porcaro or message him on Facebook. Looking forward to working with you! 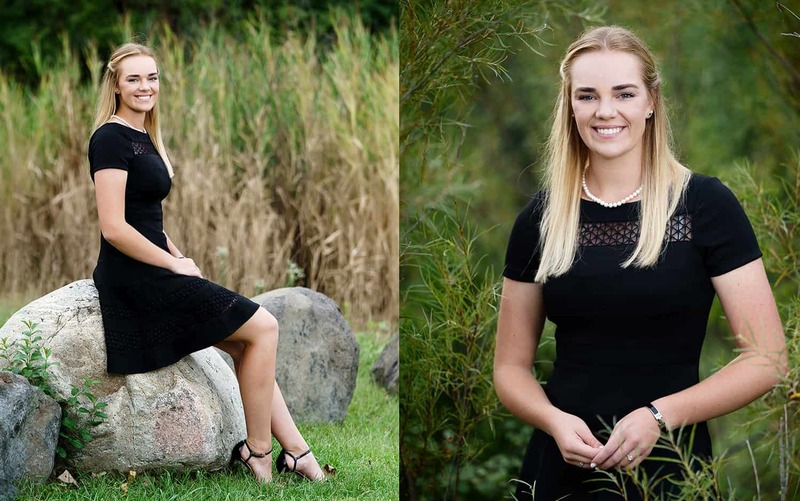 Today we’re featuring photos from our senior shoot with Zoë from Kenosha Christian! Zoe’s a senior at KC where she’s on the cheerleading squad. 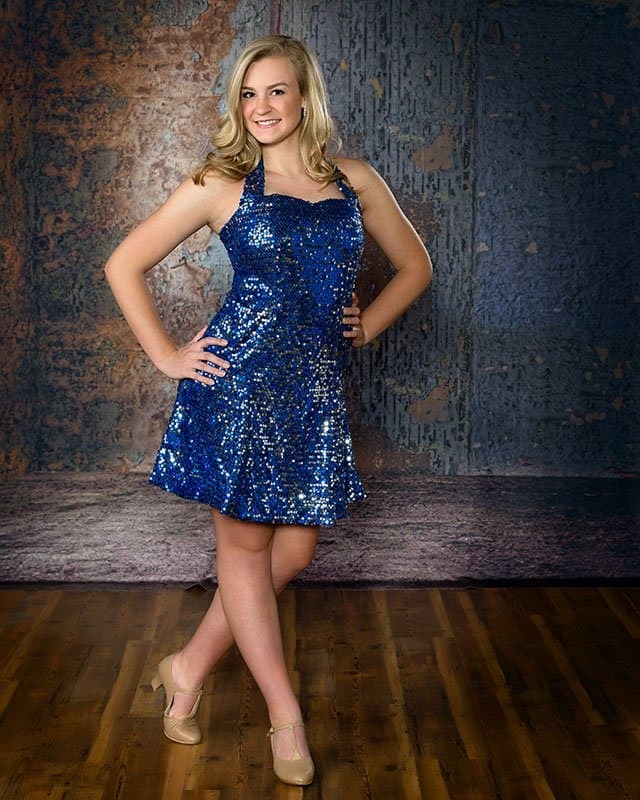 She also participates in beauty pageants and finished in the Top 15 in this year’s Miss Teen Illinois pageant! Way to go Zoë!! Every year I get a senior or two who is completely unlucky with weather. Zoe was our champ this year and we rescheduled her session three times. But I’m glad we waited because the day we finally got out there was beautiful! A perfect day for a senior shoot and we ended up with all the great photos you see here and a whole bunch more! nfocus: Thank you so much for being an nFocus Model Rep! Did you enjoy being a rep? Zoë: I had so much fun being an nfocus rep!!! Z: My favorite part was doing the outdoor shoot! n: Is there anything you wish you’d done differently? Z: I wish I had taken more time to pick out my outfits to ensure that I was wearing something I really loved. n: Did you ever feel awkward or unsure of yourself? Z: I felt that I had great direction during our shoots. I love taking pictures and I am comfortable in front of the camera so I never felt awkward! n: Your Mom was at your photo shoots. Did you feel like it was a good bonding experience for the two of you? Z: I think it was a good bonding experience because both my mom and I have very busy schedules. It allowed us to have time together apart from our busy lives! Z: The pictures turned out wonderful! I had a lot of favorites!! n: Would you recommend nFocus to your friends? Z: I would definitely recommend nFocus to my friends! I had a lot of fun doing the pictures and I was very happy with the results. n: What’s your favorite meal in the school cafeteria? Z: Taco salad from the taco bar!! Z: I’m secretly obsessed with super hero movies! n: What’s your favorite place to shop for clothes? n: If you could take a friend to any concert in the world, who would you go see? n: What do you want to be when you grow up? Z: I want to be a dermatologist! If you’re interested in being a Class of 2020 Model Rep, follow this link to join our waiting list! 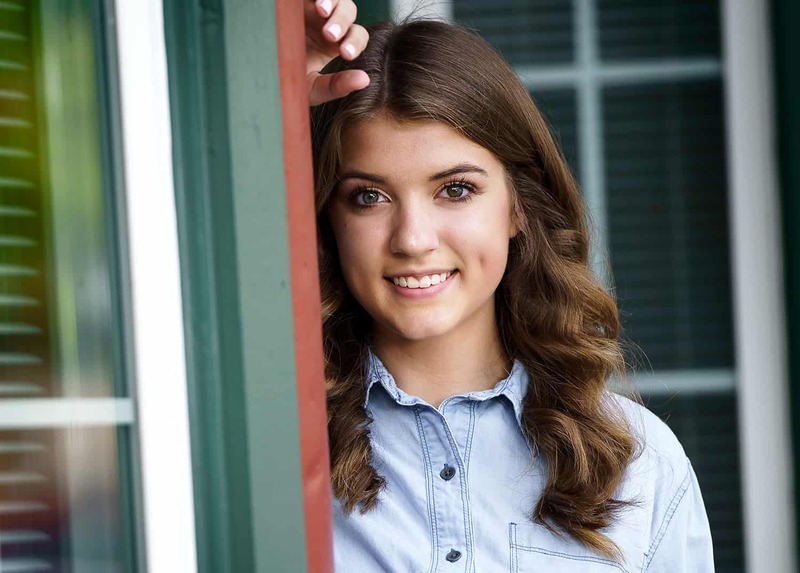 Today we’re featuring photos from our senior shoot with Julia of Barrington High School! 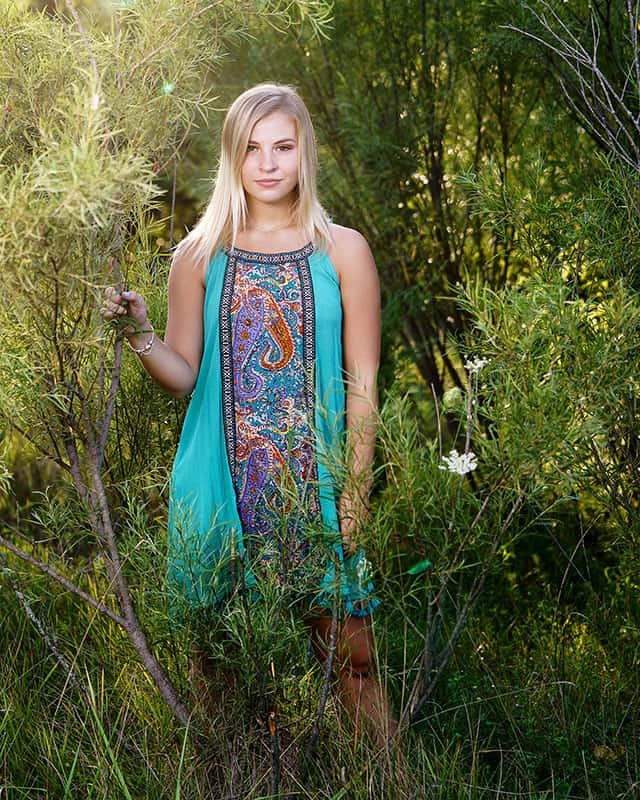 She’s a senior member of Bronco Committed and an excellent horseback rider! Julia is one of our Class of 2019 Model Reps and when she came for her initial consultation she had her new puppy, Cherry waiting in the car. One thing led to another and before you knew it, Cherry was in the studio and the two of them were taking a few photos together! The weather was perfect the day of Julia’s senior shoots and we had a bunch of fun! Her makeup was perfect and she brought a bunch of great outfits. Check out some of the photos here and I’m sure you’ll agree! nFocus: Thank you so much for being an nFocus Model Rep!How did you first hear about the program? Julia: I first heard about the program through facebook, it came up as an ad I believe. It said sign up to be one and I thought why not, it could be fun! J: My favorite part of the shoot was being able to completely be your own person. Nick does a great job of letting you totally be you, with picking your own outfits and bringing anything you want into the studio prop wise. I loved being able to bring my puppy Cherry into the studio! J: I wish I had been able to take some pictures with my horse and capture that side of my or even just in my riding clothes. I just did not think ahead enough to plan that much. n: Did you feel like you were adequately coached through the shoots? Did you ever feel awkward or unsure of yourself? J: Every shoot was so relaxed and professional. I never felt like it was awkward at all, Nick really helped with always giving you good poses and different things to do. Also the two assistants that Nick brought with him were so helpful, the were funny and helped a lot to make sure the pictures came out well. J: Yes the did! I was shocked at how different I looked from the first to the last photoshoot. I think it was so cool to capture the change I went through Junior and into the beginning of Senior year. The finals pictures came out just how I and my family wanted them to, I can’t wait to send them on to the rest of my family! J: Absolutely! Nick is so professional and the pictures looked fantastic, there is not much more you could ask for! n: What are you most looking forward to senior year? J: I have already started my senior year, but during the summer I could not wait for it to start. As bad as it sounds, I was so happy for school to start this year because the sooner we started the sooner we get out! I am just ready for the next stage and am really ready to move onto college. n: Do you know what you want to major in during college? J: Economics with the plan to go to law school. J: Most people don’t know I hate people calling me nicknames, there are very few people who I let call me “Jules”, everyone else calls me by my full name. My parents also call me “Boo” which is just a cute thing from when I was a kid, but other than that just please call me Julia!! n: Do you remember your favorite band when you were in Junior High? J: I never had a favorite band, but singer, Luke Bryan all the way!! n: If you could vacation anywhere in the world, where would you go? 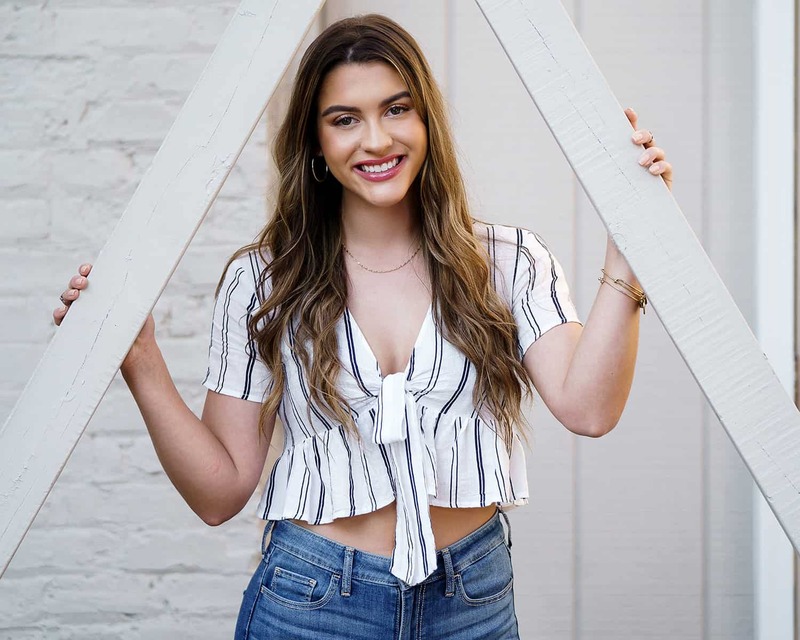 Today we’re featuring photos from our senior shoot with Haley who was one of the hardest working nFocus Model Reps ever!! Haley’s a senior at Hampshire High School where she’s on the dance team with her younger sister. She’s also a huge Cub fan and really wants a dog for Christmas! She was also a total blast to work with! She brought a great variety of clothes including a couple different hats (my favorite), a tutu and her poms uniform! Haley was very comfortable in front of the camera and brought a bunch of different looks to her photos. She was just amazing to work with! nFocus: Thank you so much for being one of our Class of 2020 Reps! How did you first hear about the nFocus Photos Model Rep program? Haley: I first heard about the model rep program through Instagram. A friend on my dance team posted her photos and it made me so excited to be a senior and to join the program! n: You did a great job getting referrals. What’s your secret? H: My “secret” to getting referrals is posting on social media!! Remind your followers and friends where your pictures were taken when you post and remind them that they can mention your name to get a discount! n: Would you recommend the Model Rep program to your friends who are Juniors? H: I would definitely recommend the model rep program to anyone considering it. I had a ton of fun working with Nick and received senior photos I will treasure forever. H: My favorite part of my shoots was finding the perfect pose and angle for every picture. Nick always found a way to get the best angle and photo possible. H: If I could go back I would not change a thing about my model rep experience and prep for shoots. Nick gave a ton of tips on what to wear and how to prepare for my shoot. n: Did you ever feel nervous during your shoots? H: Since I did dance photos it was sometimes difficult to find the perfect pose. However, we were able to find ways to showcase my talent in the best ways possible. H: My final photos are everything I could have ever hoped for! I am very happy with the results and I can’t wait to give them to my family members. n: What are you looking forward to your senior year? H: I am most excited for my senior nights! I am lucky to have two, one for football season dance and one for competition season. I have had to send off so many amazing teammates since my freshman year and it is crazy that this time it’s my turn to be sent off. I am going to miss my amazing team (which includes my little sister!) and all of the memories we have made together. n: I know you’re a Cub fan. Do you have a favorite player? H: Yes I am a huge cubs fan! My Grandpa grew up on the north side and has passed down his love for the team, it’s a family tradition. He used to sneak into games with his friends as a kid with the help of sailors from navy pier! I know that if he were here now he would still be a huge fan! My favorite player is definitely Javy Baez. n: Do you remember your first favorite song or band? H: Since I have been a dancer since age 3 I have had the opportunity to dance to so many amazing songs, but one that sticks out is “Tomorrow” from Annie! I performed this solo for my 6 year old competition season and absolutely loved it. n: If your parents got you a dog, what kind of dog would you want? H: I have always dreamed of having a dog!!! Unfortunately, this dream has yet to come true for me and my little sister. If I did get a dog I would want a golden doodle. They are big, playful, and have a great personality. H: When I grow up I want to be an elementary school teacher. I have always loved kids! I think this is because I am one of the oldest cousins in my family and I have been surrounded by babies my whole life, I am so lucky for this. I found my passion for teaching my junior year in a foundations to teaching class and I knew I wanted to do that for the rest of my life. 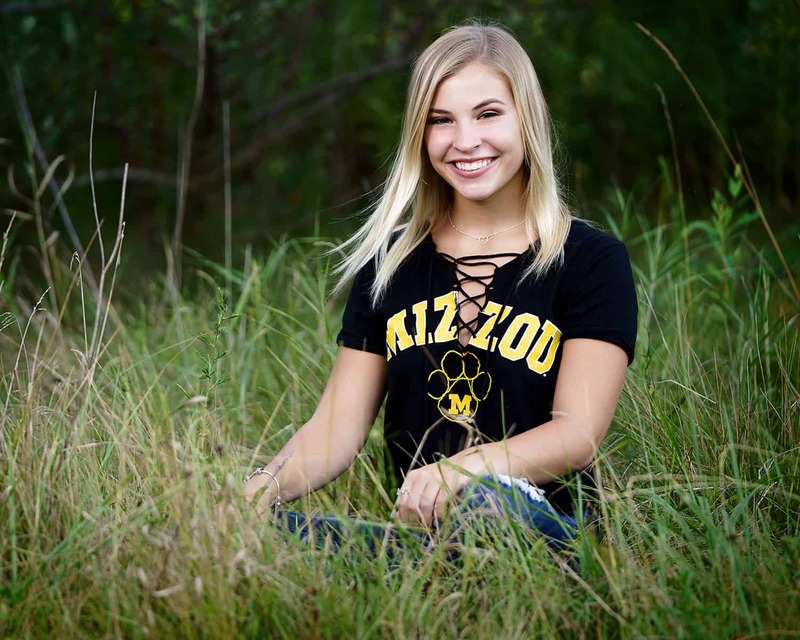 Today we’re featuring our senior photo shoot with Ashley who’s a senior at Richmond Burton High School in Richmond, Illinois! I love working with seniors who are excited about being in front of the camera and Ashley was exactly that! When she told me she’d wanted to be an nFocus Rep since Junior High, I knew we were in for a dream shoot! Lots of great photos from our two shoots together, in the studio and outside. Check them out and then read what Ashley has to say about her nFocus experience and life in general! 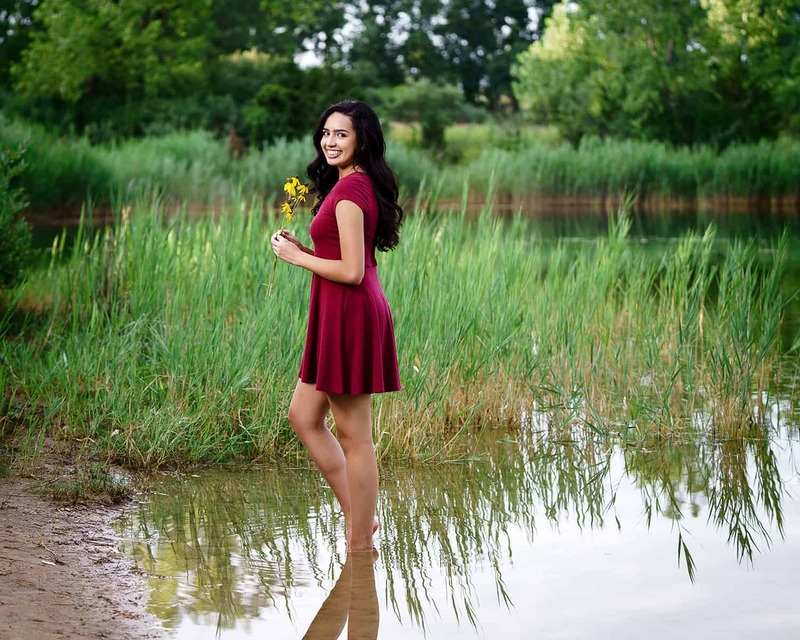 nfocus: Thanks so much for being one of our Class of 2019 Model Reps! When did you first hear about the Rep program? Ashley: I heard about the nFocus model rep program around middle school. I saw seniors I knew doing it and I knew I wanted to do it after that! n: Did you enjoy being a Model Rep? A: I loved being a model rep!! I enjoyed getting amazing quality photos that I can remember for a lifetime! A: I wish I prepared more for my indoor shoot! My mom and I didn’t know what I was wearing till 2 days before. A: I loved being in town taking photos and when people would stop and talk to us. n: Did you feel comfortable during your shoots? A: I felt pretty comfortable. My mom has always taken pictures of me since I was a little girl. n: Your Mom was at your shoots. Did you feel like it was a good bonding experience for the two of you? A: I loved shopping with my mom for outfits for the shoot! It was super fun as well as her making jokes on the side as we were taking pictures. A: Yes I love all the photos so much!!! I don’t know which ones to show people when they ask to see my pictures. A: Yes!!! I feel like I got very good quality pictures that are going to be so fun to look back on as well as use now! n: OK, tell us something most people don’t know about you? A: I went scuba diving in Roatan, Honduras! n: Who was you favorite teacher of all time? A: My favorite teachers are Mrs. Martin and Mrs. Lindquist. They are both math teachers at my school and they are great people. n: You’re heading to Mizzou after high school! Do you know what you want to major in? A: My major is digital storytelling! So basically it’s videography. A: I want to be a video marketer, as well as make videos for kids to help them get adopted. n: I know you like making videos. Which do you prefer, being in front of or behind the camera? A: I prefer both. I love working behind the camera especially when I’m making videos. I love when I make videos of myself traveling too so I get a little part of both. n: If you could take a friend anywhere in the world, where would you go? A: For forever I’ve wanted to go to Europe and visit Germany, Barcelona, Amsterdam, and Paris! Today I’m featuring images from our senior photo shoot with Alex who’s a senior at Crystal Lake Central! 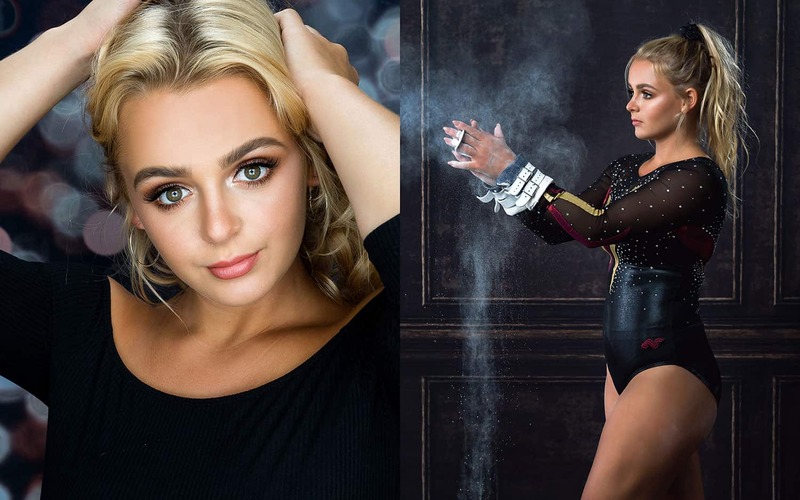 She’s also a gymnast, so we made sure to do a few photos back in the studio where we could incorporate her athletic talents as well. Alex brought great clothes, a cool Jack Russell Terrier named Jack and a super fun attitude! Throughout our session she made sure to tell me which photos she liked and which she didn’t. Personally, I love when seniors do this! How else are you supposed to know if you’re on the right track? Good news is – as you can see from the photos posted here – we were definitely on the right track! 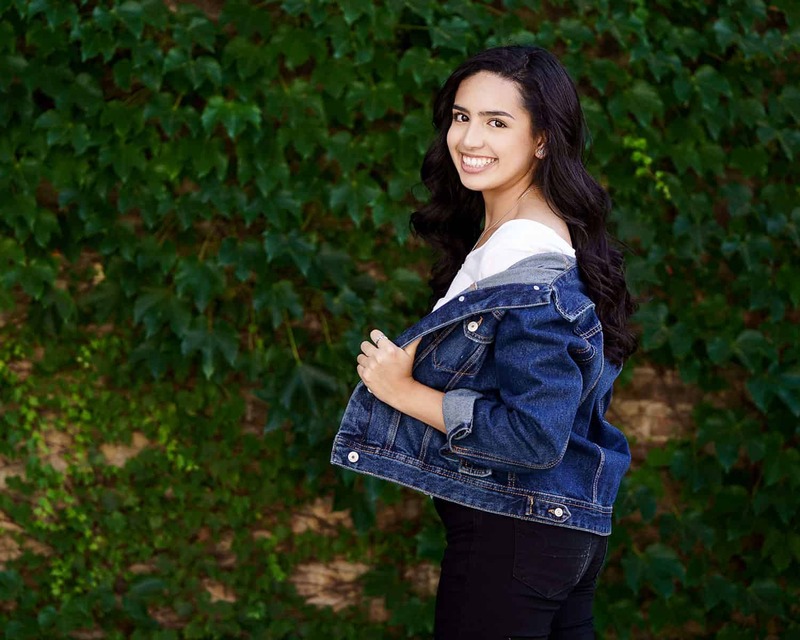 Check out these photos from Alex’s session and then check out what she had to say about her nFocus experience! 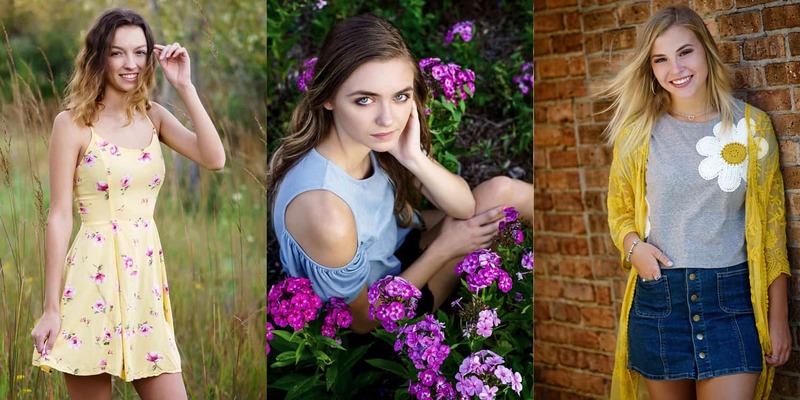 nFocus: There are a lot of photographers out there and I really appreciate you choosing nFocus for your senior photos! How did you hear about nFocus and what made you call to schedule a consultation? Alex: I first heard about nFocus through instagram. My Mom initially chose another photographer, but I insisted we go to you because I personally enjoyed your photos and style much more! n: Did the consultation help? 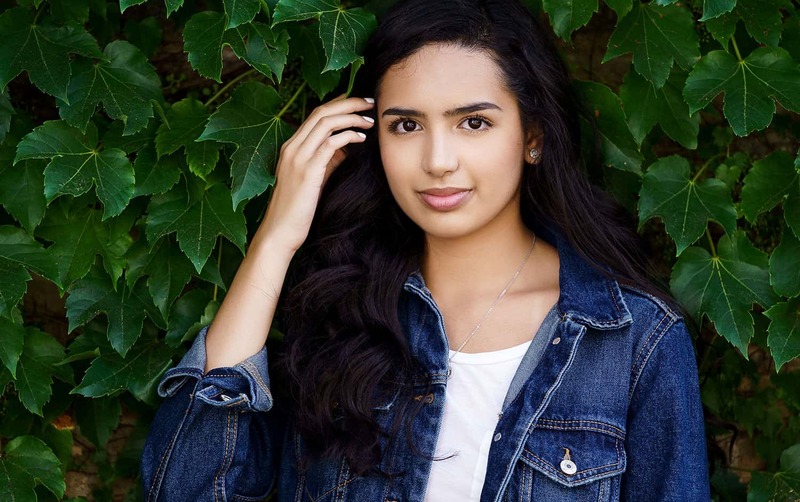 Did you feel prepared for your senior shoot? A: The consultation was very clear and concise and was very helpful in terms of being prepared and not wasting time when it came to the day of the shoot. n: During your shoot, did you ever feel over or under coached? n: What was your favorite part of your senior shoot? A: My favorite part of the shoot was checking the photos on your camera! It made me excited to see how they would turn out. I also definitely enjoyed the compliments – I felt as if it gave me more confidence. n: Your Mom was with you throughout the entire process, from the initial consultation right through your ordering session. Did you feel like it was a good bonding experience for the two of you? A: Definitely! I feel that me and my mom bonded over having this experience and were able to spend some quality time together. A: The final photos turned out way better than I had expected and I surprisingly liked more than I thought! n: A lot of your friends are probably having a friend with a nice camera take their senior photos. What would you tell those friends about having a pro take your photos versus a friend? A: I would tell my friends that a photagrapher is much more experienced and does all the work for you so there is less hassle on your part. n: Are you looking forward to being a senior? A: Yes! I am looking forward to being a senior and moving on to the next chapter in my life at college! A: A lot of people don’t know that I am half Hispanic. n: Do you remember your first favorite song? n: If you could get away for a week with a friend to anyplace in the world, where would you go? Today we’re featuring photos from our senior photo shoot with Hannah! 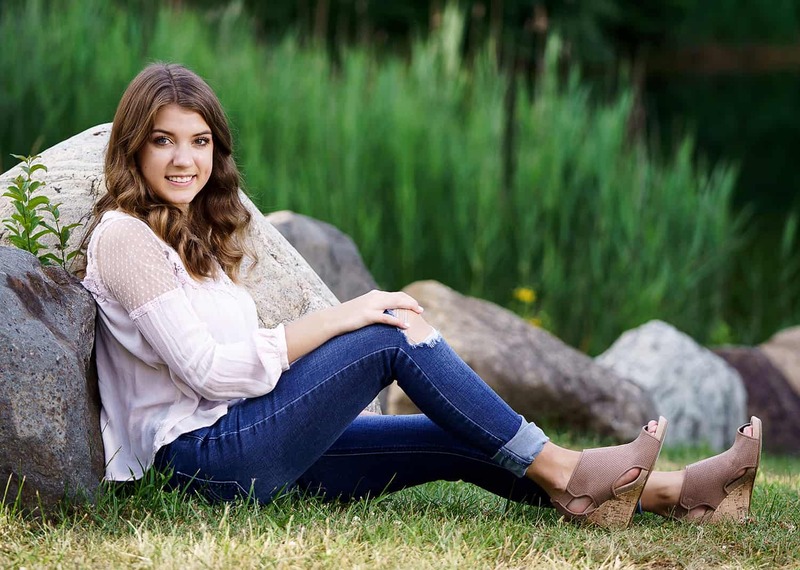 Hannah’s a senior at Harry D Jacobs High School in Algonquin and one of our Class of 2019 Model Reps! We had the chance to work with Hannah twice, once in the studio and once outside. In both cases she brought great clothes and a fantastic attitude. We got some great weather too and her sessions were a total blast to do. 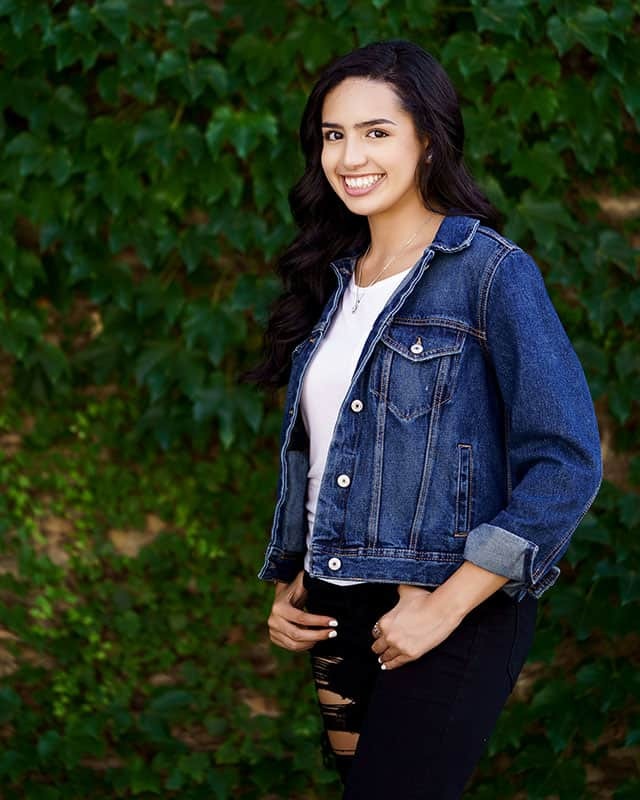 If you know Hannah, make sure to mention her name at your senor photo consultation and you’ll save $50 on your own photo session! nfocus: How did you first hear about the nFocus Photos Model Rep program? 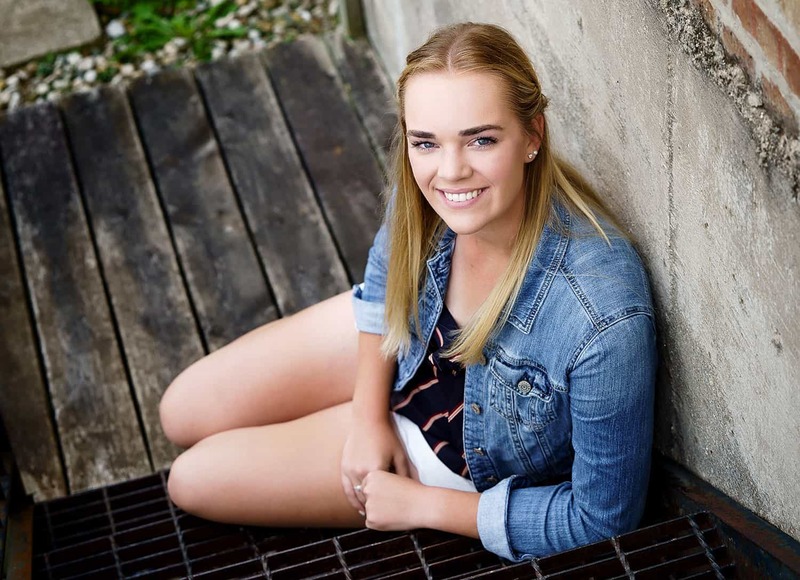 Hannah: I first heard about the nfocus Model Rep program through friends and school! h: My favorite parts of the photo shoots were posing and overall just having a good time. n: Did you feel prepared for your shoots? Were you nervous at all? H: I didn’t really know what to expect during my first shoot, so I was a little more nervous than duing my summer shoot. By the time I got to my summer shoot I felt very prepared and knew what to expect! n: Do you feel like you were adequately coached through the shoots? h: I did feel like I was adequately coached through the shoots because you and your assistant helped me out with poses and facial expressions, so I didn’t feel confused at all. h: The final photos turned out even better than I had hoped! 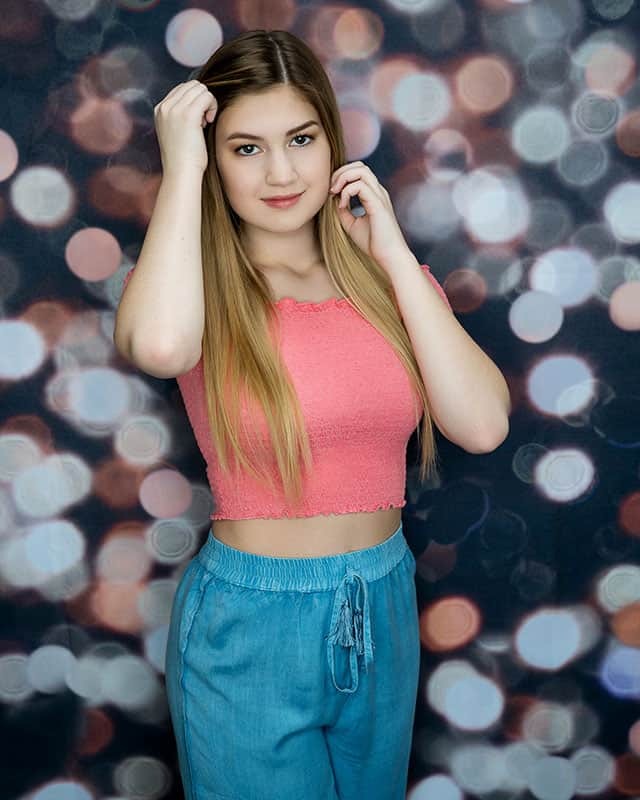 I didn’t really know what to expect and was hoping that I wouldn’t look too awkward in any of the pictures, but with your help I felt as though I became more comfortable in front of the camera, making my pictures turn out better than I thought! h: Yes, I really liked the fun environment of the shoots and how you and your assistants really made sure I was comfortable throughout it all! n: Would you recommend the Model Rep to your friends who are Juniors? h: I would absolutely recommend the nFocus Model Rep Program to my younger friends. h: During the first shoot I didn’t prepare my outfits ahead of time which made the day of very stressful, so I wish I had prepared a day or two ahead. Also I wish I had practiced different facial expressions in a mirror at home before because it gets you comfortable making all sorts of faces. n: Did your friends ever comment about your photos? h: My friends commented on my photos, always complimenting me or the picture quality itself! h: I am looking forward to choosing a college and getting to spend one last year making memories with my close friends. n: What are your plans after high school? h: I plan on going to college and hopefully moving to Italy! h: I would love to be a math or English teacher! Also, something in forensics would be cool. n: What’s your favorite comfort food? h: Probably any type of fruit or Mac n cheese! 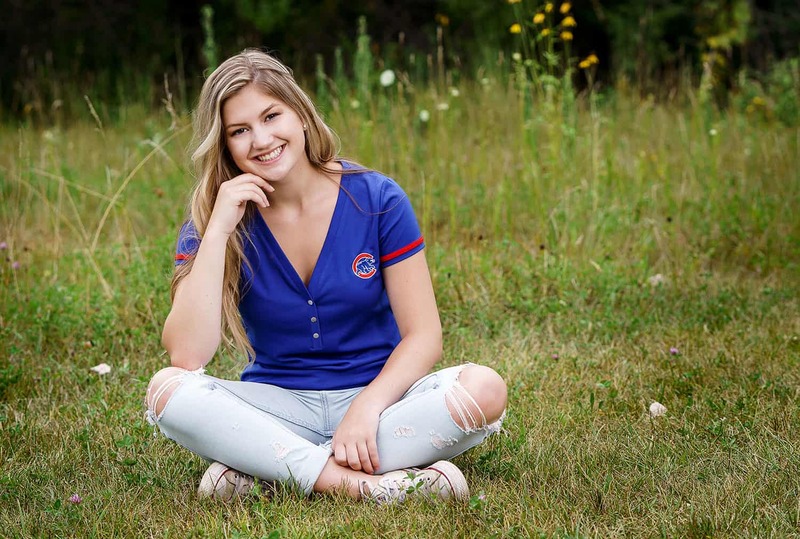 Today we’re featuring our senior photo shoot with Allison who’s just about to start her senior year at Cary Grove High School! 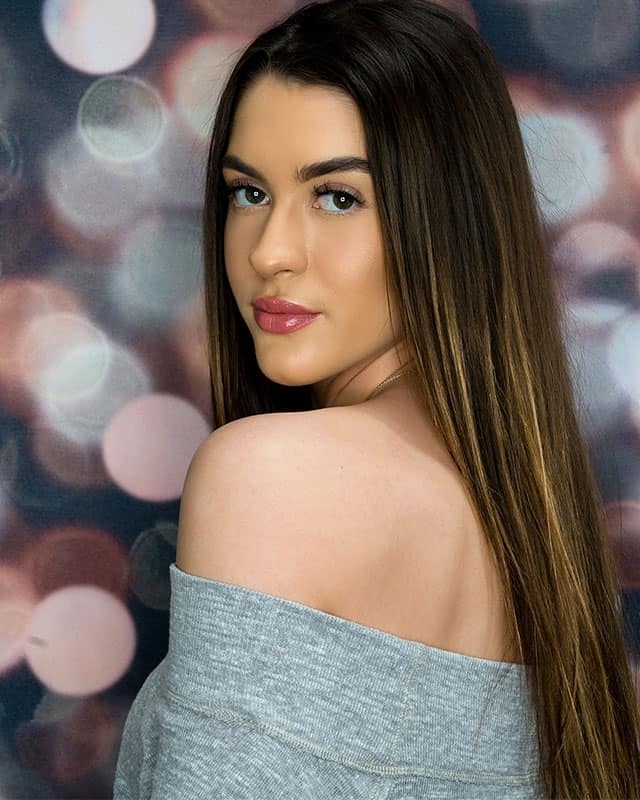 Allison loves photography and normally is more comfortable behind the camera, but her experience as an nFocus Model Rep gave her a chance to be in front of the camera for a change and she was a natural! We ended up with a ton of great photos and I loved helping Allison and her Mom narrow them all down to choose their favorites for their album! n: Did you enjoy being a rep? A: I loved being a rep! The photos all came out absolutely amazing and I loved seeing my photos on the nFocus Instagram as well! A: Definitely pick out more fun accessories, maybe some fun hats or glasses, something to spice up the photos even more! n: What was your favorite part of your shoots? A: Just how much fun they were! Everything was very low-key and I didn’t feel pressured or nervous during any of the shoots. A: I was definitely adequately coached. Going into them I was quite nervous, but Nick knew exactly how to make me feel comfortable in all the photos. In the beginning of the indoor shoot I felt awkward, but that very quickly went away. A: It was a great bonding experience for us! It was very fun picking out my outfits for it as well as at the shoots listening to her advice and compliments. A: No! They turned out WAY better than I expected! All the colors in nature mixed with my many different outfits created beautiful photos I will love forever! A: I would definitely recommend nFocus to anyone who is looking for beautiful photos with an amazing photographer! A: I’m definitely looking forward to the football games as well as all my classes as this is more of a low-key easy year for me. A: I absolutely love drawing! Art for me is so much fun and so calming. n: I know you like taking photos. Which do you prefer, being in front of or behind the camera? A: I love being in front of the camera. Photos are something you can cherish forever and as much as I love making memories for others, I have to say I like being in front of the camera more! A: Not my first favorite song, but my first favorite artist was Taylor Swift. When I was younger I loved her music so much. A: I hope to someday be a nurse practitioner. As of right now I’m on the path for that. n: If you had a week to go anywhere, where would you go? A: Bora Bora! Just relaxing there in the turquoise waters sounds so beautiful, especially with family. 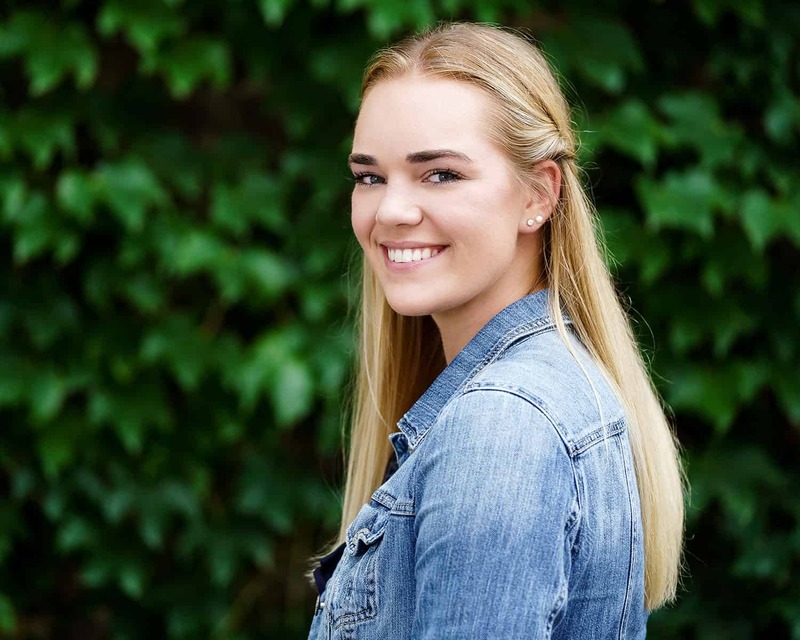 Today we’re featuring our senior photo shoot with Cassie from Janesville, Wisconsin! 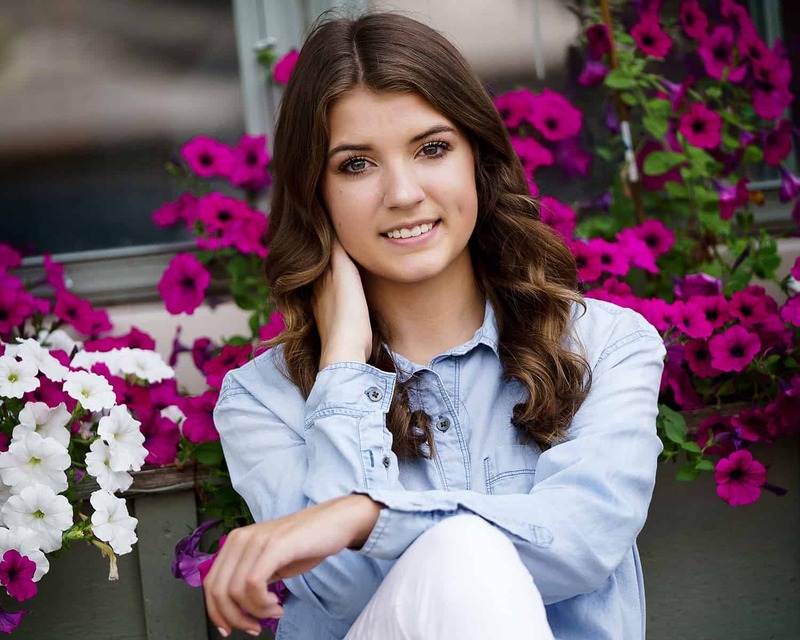 Cassie’s a senior at Parker High School and our first ever Model Rep from Wisconsin! 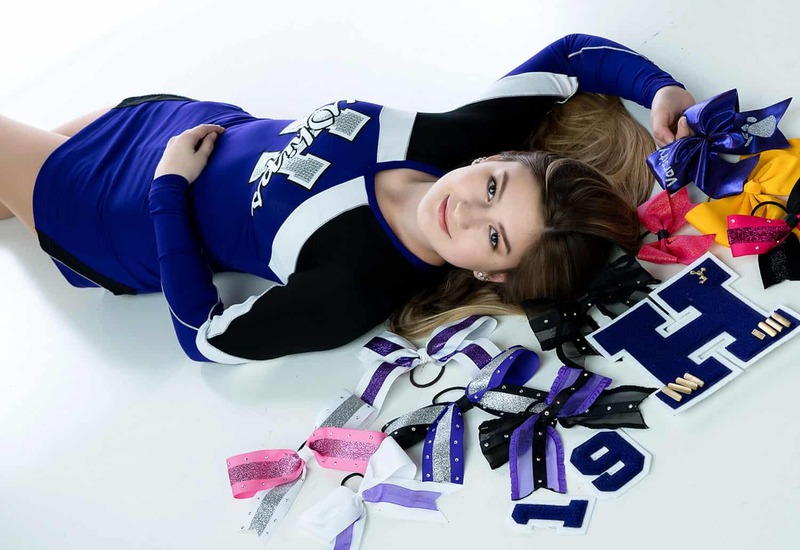 Cassie plays tennis, does gymnastics and karate, and in her spare time works as a professional model! Whew! We’ve worked with Cassie on a portfolio shoot a couple years ago, so we were excited to get to work with her again on her senior photos! Cassie’s sessions were amazing! She brought great outfits, had her makeup done to perfection and was gung ho to try different things. The temp for her outdoor session was close to 100 – the hottest so far this year – but she barely broke a sweat! At the end of the session she had to cool off and waded into the lake up to her waist which we naturally captured with some unique photos! nFocus: You’ve had a bunch of experience modeling before. Did you feel prepared coming into your senior photo shoots? Cassie: I did feel prepared! Nick gave me a list of tips and things to bring. I was more excited than nervous. C: I was very well coached and never felt unsure of myself. n: What was your favorite part of your photo shoot? C: My favorite part of the shoot was when I got to go in the water. It felt super good on that hot day and was something I’d never done before. Those pictures were some of my favorites! C: I feel my mom being there made us closer. She got to see a different side of me and got to have an opinion on my shots which made me happy. C: The final photos turned out better than I had imagined! C: Yes! I would recommend nFocus to my friends because the environment is super friendly and Nick will tell you everything you need to know about getting great photos. C: After high school I plan on going to cosmetology school and eventually open my own hair salon that specializes in curly hair while continuing my modeling career. C: Most people don’t know that i was born with purple eyes. n: Who’s your go to band or musical artist when you need a pick me up? C: I love listening to Beyoncé, she’s definitely my go to! n: What’s your favorite meal? C: I would take them to the Bahamas! C: When i grow up i hope to have my own salons and be a successful model. Join our mailing list to receive the latest news and updates from nFocus Photos! Thank you! You have successfully subscribed! !